Syrian Forces Eliminate Unidentified Aerial Objects Near Damacus. Israel Denies Reports On Its Warplane Shootdown 5.4545454545455 out of 5 based on 11 ratings. 11 user reviews. Last night, the Syrian Air Defense Forces (SADF) shot down several unidentified aerial objects over the district of al-Kiswah south of Damascus, according to the state-run media. Local sources told SouthFront that the SADF had also engaged targets over Damascus and Quneitra. The recently supplied S-300 air defense system was not employed. 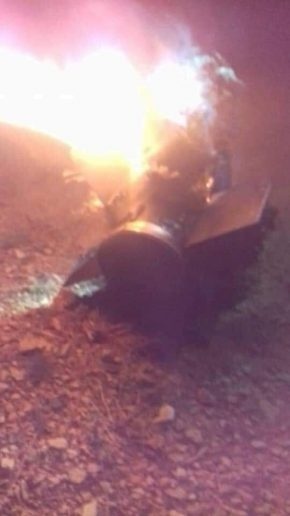 Pro-Israeli and pro-militant sources claimed that the Israeli Air Force had successfully destroyed multiple “Iranian” targets near Damascus. The Israeli military has not commented on the incident itself, but said that reports regarding an Israeli aircraft or an airborne Israeli target having been hit by the SADF are false. All air to ground IAF missile have been intercepted and destroyed on air….surely since deployment of S-300 SAD have increased the number of Pantsir system to protect them! …………………..I think the answer is “No”……………………………. We are led to believe an Israeli plane or many Israeli missiles were shot down but there is no wreckage? Russians had to know what they were firing at… plane, missile, military drone. This whole story sounds like more Russian propaganda. You sound like a deepstate troll. Finding facts and good guessings are not trolling at all even the conclsions might be totally wrong. Trolling is misguiding the messages by purpose.I dont see that. I see You do it. Be a deepsteake dirtly little troll Yourself. Your reply sounds like more Occidental trolling. Oh yeah it does Jens. 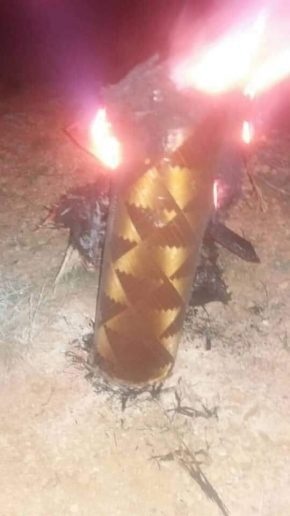 Like the F-16 that crashed near an Israeli village, it was hit after firing from Israeli airspace (according to Gordon Duff). IDF cleanup crews were quickly there to collect plane wreckage and body parts. Expect another “bird strike” story soon. I would say its at least possible. Vetrans today’s Gordon Duff commenting on last nights events. Interesting stuff. Fake news from Syrian press agency. Sputnik is apologized for relaying it. There is no destructed plane and i guess Israel burn what it want to burn. S300 deployement sites are well know from Israelian intelligence now. At this time it are not operational yet but Israel say if it attack an Israelian plane, it will be destructed. Last night strike target iranian weapon storage. Yes , I trust that you have a great weekend as well . I look forward to next weeks adventures of hapless UK and US Friends of Israel . The Drama series of ‘Tinker Tailor Soldier Spy’ was far more believable that the utter crap promoted by the FUKUS fairytales today. You just moved Yourself making claiming “guess” is knowing. That intimidation. Use a translator is you have to but, start making sense pal. he can’t.. he’s just a jewbot.. He says he guess. Why do You use “know”. “Israel say” says Benoit. Squawk, squawk. Thank you for the intelligence update Shlomo . . When Zionist propaganda uses the word Iranian, it is to obscure its criminal aggression, and nothing more. Hi folks… does anyone have an update on this incident.. I mean were any IDF scum really blasted out of the sky? It’s kinda disheartening to find out they weren’t…. ha!